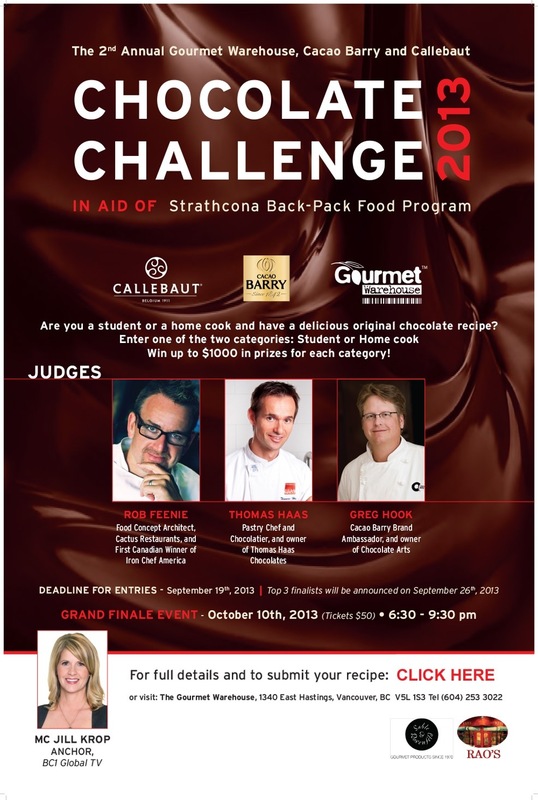 I can’t wait for the 2nd annual Chocolate Challenge being held at the Gourmet Warehouse! Are you an aspiring pastry student, confident home cook or just a confident master in the kitchen with an original delectable chocolate recipe? Then honestly, this challenge is for you! Click on this link to submit your “original” recipe to submit your chance to compete. Choose either “student” or “home cook” and bring your best to have the opportunity to win up to $1000.00 in each category. All recipes need to be in by September 19th and the top 3 recipes chosen will be announced September 26th. If you were chosen now what? You will have your opportunity to bring your best effort and to be judged by some of the best chefs in Vancouver! 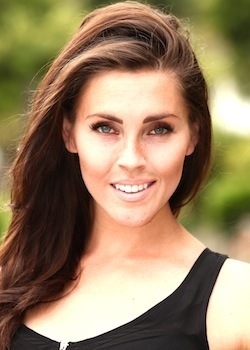 The MC for the night is Vancouver’s own Jill Crop! I attended this event last year and can tell you that is is more than just a chocolate challenge…. There will be unique and fun food served and sips to enjoy all while you are being entertained and enjoying the night. Besides there being plenty of delectable chocolate temptations, there will be a wine bar as well as tasting stations featuring tasty treats such as New York’s Rao’s specialty sauces…Sable & Rosenfeld’s gourmet foods and pulled pork from Albertan BBQ Master Rockin Ronnie Shewchuck. The true magic of this evening and the reason that your host Caren McSherry is putting on this event is for the Strathcona Community Centre’s backpack program…. The money earned from this evening will go towards the Strathcona community centre Back-Pack program which delivers backpacks of food to deserving children on the downtown Eastside on the weekends. Come out and support Caren and the Strathcona Backpack program all while having a great evening of fun and entertainment! This is a “Foodies” dream night…..
Cost-$50.00 and is a great value as well as for a great cause. Kick off your fall season with a truly unique and fun event! Posted on September 6, 2013, in Food glorious food from the heart and soul, special extra treat, you ask for it and ill find it out and tagged chocolate challenge, Chocolate contest, Erin Ireland, fun event, Gourmet warehouse, great night in Vancouver, Greg Hook, Jill Crop, Rob Feenie, Strathcona Back-pack food program, Thomas Haas. Bookmark the permalink. Leave a comment.